The Philippine Military Academy (PMA) announces the schedule of the Entrance Examination (PMAEE) which is set on August 3, 2014. On this page, applicants may check important dates for the submission of application, requirements and process on how to apply (manual and online application). The PMAEE will be conducted in 37 testing centers nationwide. PMAEE was originally scheduled on August 31, 2014 but has been moved to an earlier date August 3, 2014. This is to allow enough time to properly screen successful examinees that will go through the Complete Physical Exam. Application for PMAEE is now easy as the academy provides two (2) options on how you can secure your documents at your convenience: online and traditional (manual via mailing of scanned docs or handcarry to the Office of the Cadet Admission). How to apply for the online application system? PMA is now accepting On Line Application. High School Form 137 and NSO copy of Birth Certificate are the necessary documents for our On Line Application. All interested applicants are requested to scan (pdf file format) said documents and attach it to the On Line Application System. To register, visit the PMA admission page. How to apply using traditional or via mail? Download, print and fill-up application form. Then, mail to Office of Cadet Admission together with the following forms: NSO copy of your birth certificate and certified true copy of your High School Form 137 (all documents shall become OCA property). or hand carry it to the said address, PMA said. PMA said that deadline of submission of manual and online applications is on July 25, 2014. Physically fit and of good moral character. Single and has never been married. Must pass the PMA Entrance Examination. No Administrative / Criminal Case. Height Requirement for both Male and Female is 5 feet (not to exceed 6'4" for both). At least 17 years old but not a day older than a 22 years on 01 April of the year following the date of examination taken. Note: Applicants younger than 17 years old but or and at least 16 years old on 01 April following the date examination may apply for cadetship provided that the applicant possesses the above mentioned qualifications. Should the applicant pass the qualifying exam, the procedure in handling the underage applicants will apply. The PMA Entrance Examination covers Algebra and Geometry, Grammar and Composition, Reading and Comprehension, Verbal and Numerical Reasoning and Pattern Analysis. Examination permits will be sent through mail to the address reflected by the applicants in their application forms. Examinees are advised to make sure that requirements are complete before proceeding to their designated examination centers. Walk in applicants may be entertained to take the exam as long as there are sufficient examination booklets. PMA said that those who did not apply online or by mail will be accepted on exam day but they will be least priority. Priority will be given to regular applicants. Proctors bring only limited number of exam materials. On examination day, the whole morning (7am to 11am) will be for administrative aspects of the exam (fill up forms, limited physical examination, etc). The exam proper starts at exactly 12.00 noon and will last up to 4.30 pm. PMA said that successful examinees of PMAEE 2014 will be informed of the results through online, newspaper or by mail. TheSummitExpress will also update this page for the list of passers. 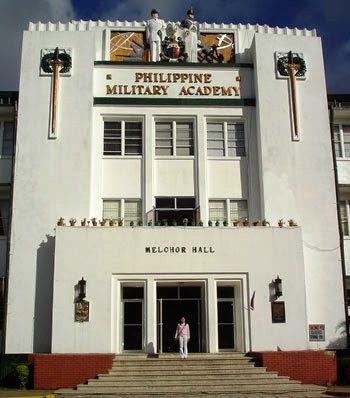 For the past 100 years, the officers training school of the Armed Forces in the Philippines is handled by the Philippine Military Academy (PMA). It boast of a long and illustrious history of preparing only the best Filipino men (and, in recent times, women) for military service.